Copyright © Volker Betz (2014) - This image is copyrighted. Unauthorized reproduction prohibited. 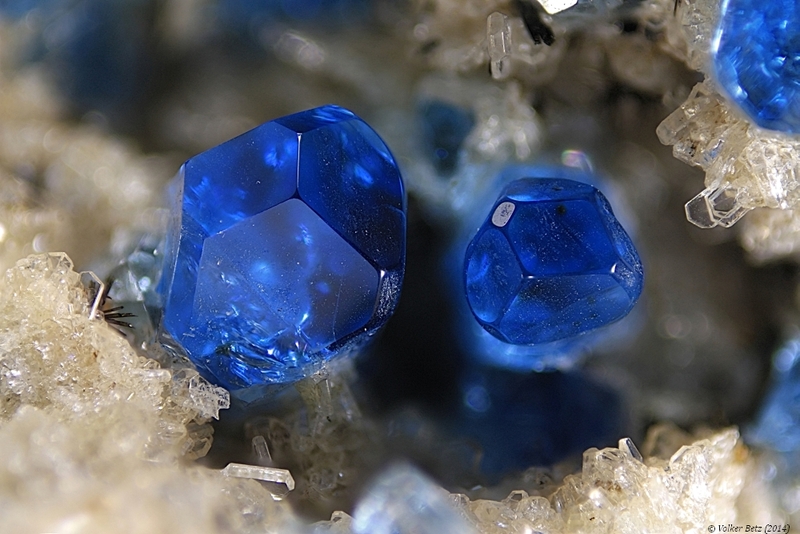 Excellent intensive blue and gemmy crystals of haüyne in a vug of a sanidinite ejection block.